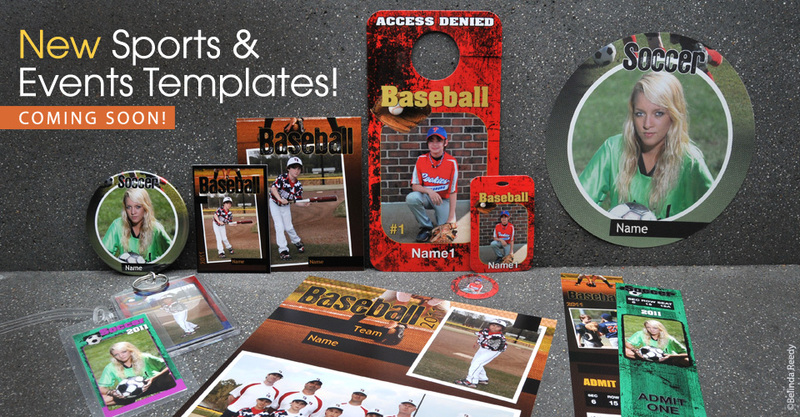 Score big with clients with new sports and events templates from Miller’s! On July 18, 2011, two new sets of specialty product templates will be added to Miller’s ROES Sports & Events. Check out our new collections below – coming soon! Flex Collection: This edgy, grunge collection is fully customizable – choose up to two colors, and include client names, team names, and year. Old School Collection: A throw back! Our new vintage collection can be customized with client names, team names, and year (no custom color selection). To see all template collections by product, download an updated catalog here. Once live, you will be able to order samples of the new templates at a 25% discount in ROES. Stay tuned for our release early next week! Please note, the Flex and Old School collection will not be available in Remote Studio; they will be added to Miller’s new PC and Mac compatible Remote Suite PLUS, which will be launched later this summer.